Pakistan openers Fakhar Zaman and Imam-ul-Haq on Friday broke the all-time opening partnership in one-day worldwide (ODI) history. 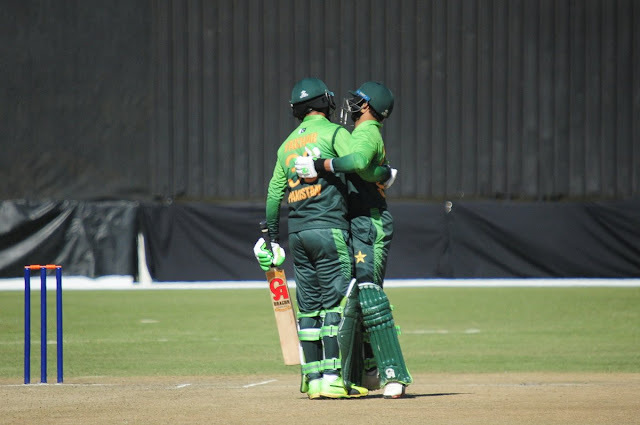 Fakhar Zaman and Imam-ul-Haq accomplished the point of reference amid the fourth ODI against Zimbabwe at Queens Sports Club in Bulawayo. The Pakistan team went past Sri Lanka's Sanath Jayasuriya and Upul Tharanga to break the all-time opening partnership record. Zaman and Imam shaped an enormous 304-run opening stand before the last was expelled by Wellington Masakadza. Fakhar Zaman in the interim turned into the main Pakistan cricketer to score a twofold century in ODIs. Before Zaman, Saeed Anwar held the record of most keeps running in an inning when he scored 194 keeps running against India in 1997. Jayasuriya and Tharanga sewed a 284-run remain for the opening wicket against England at Headingley cricket ground in Leeds in 2006. Presently, it has been assumed control by Zaman and Imam. Zaman and Imam partnership is likewise the most noteworthy regularly opening partnership for Pakistan also, beating the past most astounding of 263 between Aamer Sohail and Inzamam-ul-Haq against New Zealand in 1994. Australia opening pair of David Warner and Travis Head are third on the rundown. They shaped a 284-run opening stand against Pakistan in 2017. For India, Sachin Tendulkar and Sourav Ganguly hold the record for the most elevated opening partnership. The twosome scored 258 runs together for the opening wicket against Kenya in 2001.